Kissing Crane Toothpick Pink And White Bone | BUDK.com - Knives & Swords At The Lowest Prices! Kissing Crane is proud to release another fine cutlery masterpiece with this new Toothpick. 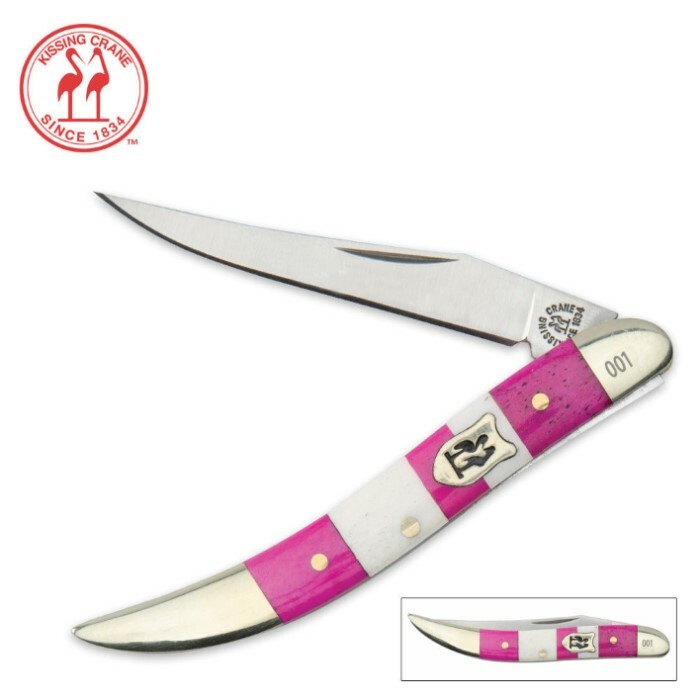 This exquisite knife features a mirror-polished 440 stainless steel blade and a genuine pink and white striped bone handle. Nickel silver bolsters, brass pins and the classic Kissing Crane® shield accent this knife with just the right amount of flash. Each knife is individually serialized for collectibility. Perfect gift for the ladies in your life! Measures 3” closed.